France topped a competitive Group A, taking early control of a group also featuring the Netherlands and Sweden. Four wins from their first five matches, including an away win in Amsterdam, saw them favourites to secure their spot in Russia with time to spare. However, defeat in Sweden and a shock 0-0 home draw with minnows Luxembourg allowed the chasing pack to gain ground. Qualification wasn’t confirmed until the final round, when a 2-1 home win against Belarus saw France safely through to a 15th appearance at the finals. 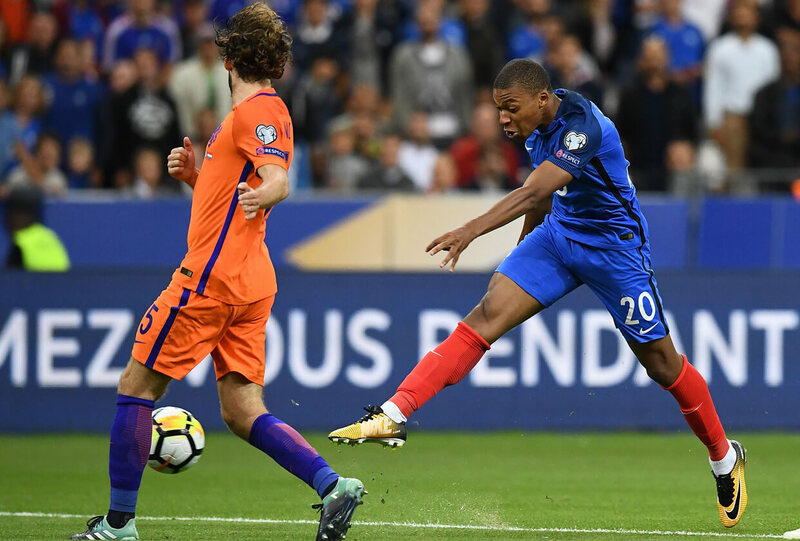 After an opening 0-0 draw in Belarus, France went on a four-game winning streak, with impressive victories over closest rivals the Netherlands and Sweden. The return fixture in Stockholm, however, brought the group back to life. France began the game three points ahead of the Swedes, and started well. Just after the half-hour mark, an outswinging cross wasn’t dealt with by the home defence. The ball fell to Olivier Giroud, who teed himself up and unleashed a blistering left-foot volley that dipped and swerved into the top corner of Robin Olsen’s goal. Midfielder Jimmy Durmaz equalised in similar fashion just before half-time, before a catastrophic error from Hugo Lloris (above) gifted Sweden their winner with the final kick of the game. The keeper’s poor clearance from outside his own area fell to Ola Toivonen, who stroked impressively home into an empty net from the centre circle. To add salt to French wounds, both Swedish goalscorers played their club football in Ligue 1. After the disappointing result in Sweden, France needed a positive performance. And they got it in their next qualifier, moving the ball with pace and purpose against a fragile Dutch defence. Antoine Griezmann opened the scoring early, after a fine one-two with strike partner Giroud sliced the Netherlands open. The hosts had to wait until late in the second half to consolidate, but when the goals came they were fully deserved. 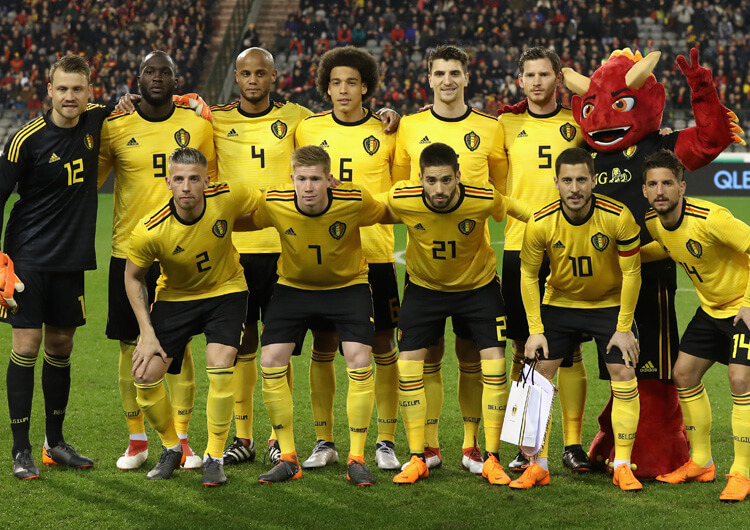 Monaco winger Thomas Lemar added two more, including one screamer, as the Netherlands were reduced to 10 men, with midfielder Kevin Strootman seeing red. Rising star Kylian Mbappe (below) opened his international account with a perfectly placed first-time finish to complete the rout and send France back to the top of the group. A product of the Lens youth system, Varane was a highly sought-after central defender from an early stage. After only one season of first-team football in France, the exciting young prospect was snapped up by Jose Mourinho for Spanish giants Real Madrid. In the seven years since, the Frenchman has built up a formidable partnership with Sergio Ramos at the back and won more than 10 major honours – including two La Liga titles and no fewer than four Champions Leagues. Still only 25, Varane is strong in the tackle and an aerial threat at both ends of the pitch. Despite his tall frame, he is also very quick, often able to recover and chase down even the most agile of attackers. In possession, the Frenchman (below, right) is calm and comfortable under pressure. Helping both Real and France build from the goalkeeper gives Varane an edge over his competitors for starting positions in both teams. Born in Paris, Kante is that rarest of phenomena in modern football – an initially undiscovered gem. After spells in France with Boulogne and Caen, a midfielder deemed too small by many clubs earned a move to Leicester City. There, as we all know, Kante helped the Foxes shock the world to win the Premier League. A move to former champions Chelsea followed, where he backed up his first Premier League medal with a second and was deservedly named PFA Player of the Year. Despite his size, the central midfielder (above, left) packs an enormous defensive punch, aggressively pressing opponents and winning the majority of his defensive duels. In possession, Kante is consistent but perhaps lacks the ability to control the tempo of a match over a prolonged period. He can at times get caught on the ball and, if utilised in a central pair, he may struggle in possession due to a reduced number of short passing options. But this is largely quibbling. Kante is an outstanding footballer, absolutely central to France’s hopes in Russia and arguably the best defensive non-defender in world football right now. Exploding on to the scene in 2015, Mbappe broke the record for the youngest first-team appearance at AS Monaco, breaking the mark previously held by a certain Thierry Henry. Another Henry record soon tumbled as Mbappe became the youngest goalscorer for the club, in a 3-1 home victory over Troyes. After winning the Ligue 1 title with Monaco in 2017, Mbappe found himself the subject of some interest from domestic rivals PSG. The young forward couldn’t resist the temptation, as he moved to the superpower of domestic French football on loan and subsequently won a domestic treble. Predominantly a wide forward, Mbappe possesses lightning speed, both with and without the ball. The more he is exposed to elite defenders, the quicker he is adapting and changing his attacking play. He understands that pace alone isn’t enough to dismantle the most congested of defences. In tight areas, though, Mbappe has started to show the expression and fast feet required to break down low blocks. He is also a strong finisher from both feet, able to convert various attacks inside or outside the penalty area. The 2018 World Cup will be Mbappe’s first taste of international tournament football. If his previous record of handling big games is anything to go by, then the young talent should have no problem with asserting himself on the biggest stage in world football. World Cup-winning captain Deschamps had an illustrious playing career, with spells in France, Italy, England and finally Spain. He represented his country more than 100 times, and lifted the World Cup itself on home soil in 1998, after his side defeated favourites Brazil 3-0 in the final. Two years later, he repeated the trophy-lifting feat at Euro 2000. At club level, he won domestic titles with Marseille, Juventus and Chelsea. Most notably, the Frenchman was the youngest captain to win the modern Champions League; his victory with Marseille in the first iteration of the new tournament in 1993 remains the only time a French side has lifted any European Cup. After retiring in 2001, he immediately jumped into management, taking over the reins of Monaco in Ligue 1. There, he guided them to their first ever UEFA Champions League final, eventually losing out to Porto and a young Jose Mourinho. A brief return to former club Juventus followed, as the Italian giants were demoted out of Serie A due to matchfixing allegations. Deschamps successfully guided them back into Serie A, but resigned shortly after. His most successful spell as a coach came back in his native France with Marseille. In three years at the club, Deschamps won the league title and five domestic cups. From there, he left to take over as France head coach in 2012. As a player, Deschamps was an intelligent deep-lying central midfielder who broke up opposition counter-attacks with well-judged pressing and excellent organisation. This can be seen in the teams he has managed. 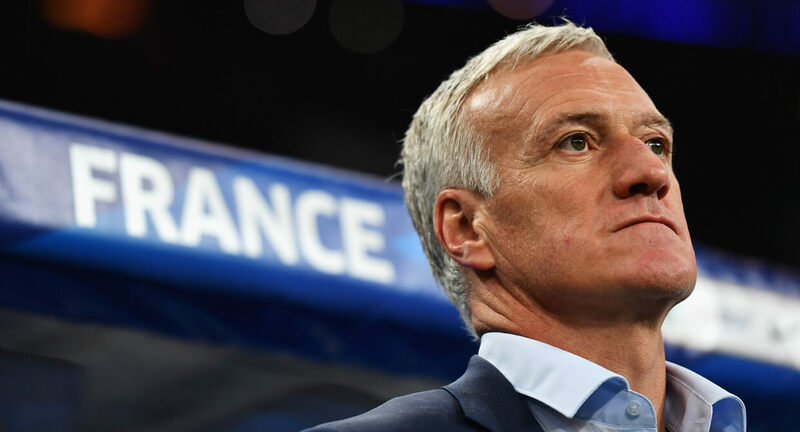 Wherever Deschamps has coached, he has persisted with a central midfield defensive anchor to provide central protection to the back line and stop the opponent from counter-attacking from deep. Much like the great France team he captained to World Cup glory, however, the modern generation he now coaches boasts plenty of exciting talent around that anchor. Since taking over as national team boss, Deschamps has consistently favoured a back four. With that in mind, it is no surprise that he has selected eight defenders for Russia, offering him back-up for each individual position. In the absence of the injured Laurent Koscielny, Real Madrid’s Raphael Varane and Samuel Umtiti of Barcelona are near certainties to start in the centre of the French defence, with veteran Adil Rami – at 32, the only defender in the squad over 25 – and the promising Presnel Kimpembe in reserve. Monaco’s Djibril Sidibé (above, right) started every qualifying match at right-back; cover for him comes in the form of young Stuttgart defender Benjamin Pavard. Left-back is perhaps a question mark. Manchester City’s Benjamin Mendy may still be first choice despite a season largely destroyed by injury, but Atletico Madrid left-back Lucas Hernandez is a very decent alternative should Deschamps not want to risk Mendy. Defensively, this is not a team with any glaring weaknesses. Of the last 20 goals France have conceded, seven have been from open play, seven via counter-attacks and six (including five penalties) from set-pieces. Each of the five penalties they have conceded in this period came via a clumsy challenge from a central defender – a trend that opposition coaches might highlight when preparing their sides to face one of the tournament favourites. France have the flexibility to adapt their attacking game to any specific opponent. Averaging 60 per cent possession in qualifying, they are comfortable in possession and will build from deep if necessary. 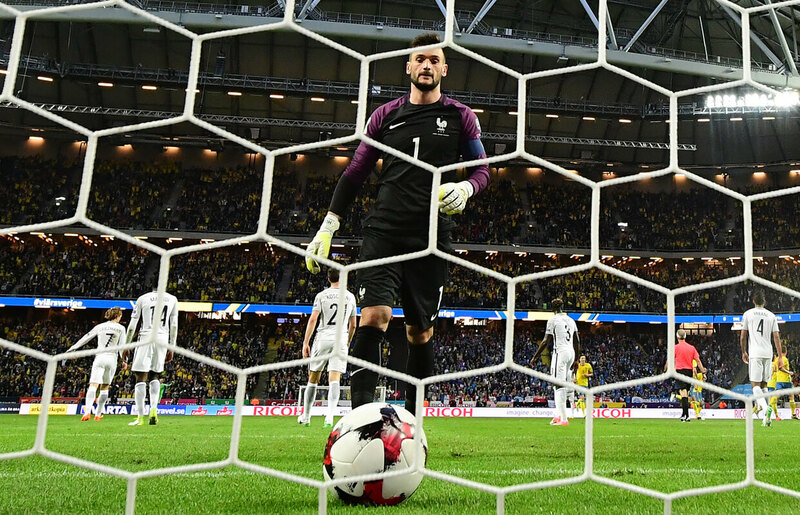 Goalkeeper Hugo Lloris, despite not having his best season with Tottenham, gives France a good initial platform to build. In qualifying, Deschamps mainly started with Moussa Sissoko and Dimitri Payet attacking in wide areas. However, with Payet forced off injured for Marseille in the Europa League Final, and Sissoko struggling for both minutes and form at Tottenham, neither have been selected for Russia. That leaves open the possibility of the head coach shifting his usual 4-2-3-1 ever so slightly, perhaps into a 4-3-3, to accommodate more attacking midfielders. Paul Pogba and Antoine Griezmann (see below) will always be included, but a first option sees the latter playing to the right of main striker Olivier Giroud, with Kylian Mbappe providing pace on the other flank. In the second, the Atletico Madrid forward operates as a false nine, with yet more pace – Ousmane Dembele and Thomas Lemar are alternatives to Mbappe – enabling quick and efficient transitions from deep. Behind them, the skill and trickery of Florian Thauvin, Corentin Tolisso and Liverpool target Nabil Fekir provide France with alternative central attacking options alongside Pogba, should they look to break down a compact and deep defensive block. 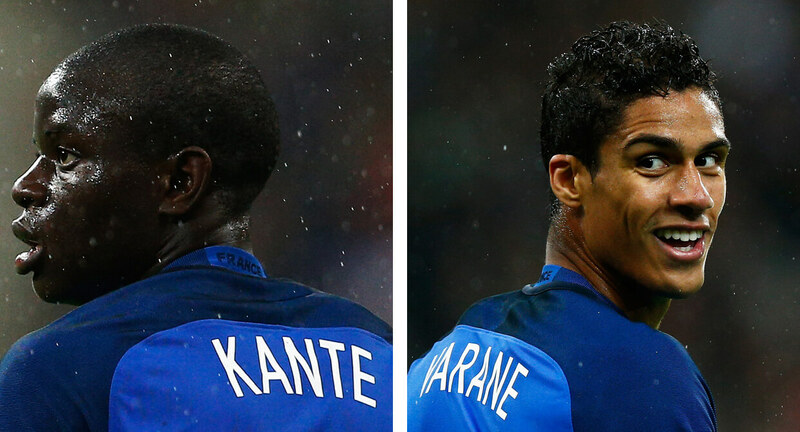 For the majority of qualifying, France set up in a 4-2-3-1 formation. 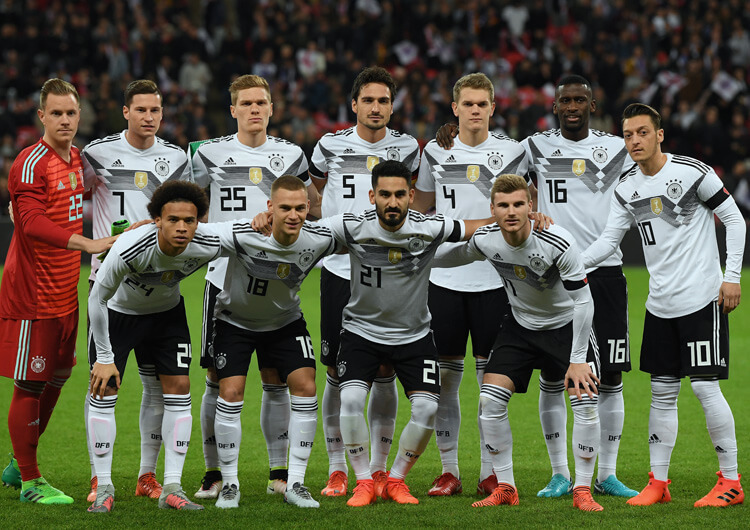 Changes to a 4-2-2-2 and a 4-3-3 brought three uninspiring performances, including a desperate 0-0 home draw to Luxembourg. The main focus of the 4-2-3-1 is to build around the movements of Paul Pogba and Antoine Griezmann. As Pogba provides late attacking runs from midfield, he needs a midfield partner who can defensively cover ground quickly, thus disrupting opposition counter-attacks. Enter Chelsea dynamo N’Golo Kante, whose ability to aggressively counterpress the ball in central midfield and delay opposing attacks gives his teammates – and Pogba in particular – much more time to recover and transition into a solid defensive structure. Griezmann, alongside defender Djibril Sidibé the only player to start all 10 qualifiers, usually operates in the areas just in front of the central midfielders. Mainly partnered with Olivier Giroud, he provides France with fantastic attacking movement in the central lane and a consistent supply of goals and assists. Griezmann often moves short towards the ball during France’s attacking build. Coupled with Pogba moving forward from deeper positions, France’s central midfield often resembles two number 10s in between opposing defensive lines (see above). Once Griezmann has moved short, often dragging an opposition central defender with him, he will look to quickly combine with short passes and receive in behind on goal. Not difficult to spot, but not as easy to stop.